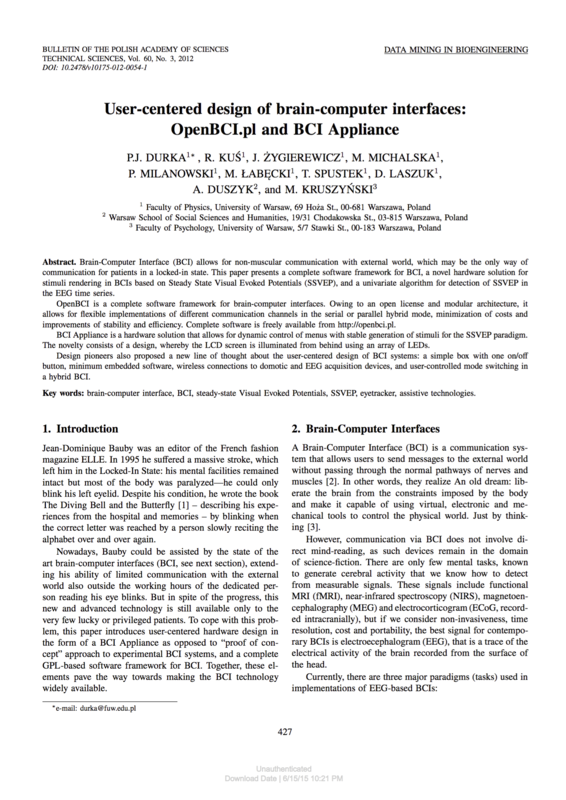 OpenBCI project was started in 2009 at the University of Warsaw as one of the first FOSS BCI frameworks. After the culminating presentation at CeBIT 2012, the academic project lost momentum in favor of the world's first Neuroinformatics BSc curriculum. BrainTech was established to develop and maintain OpenBCI source and packages as a part of world's first professional EEG system based exclusively on FOSS (EEG.systems). 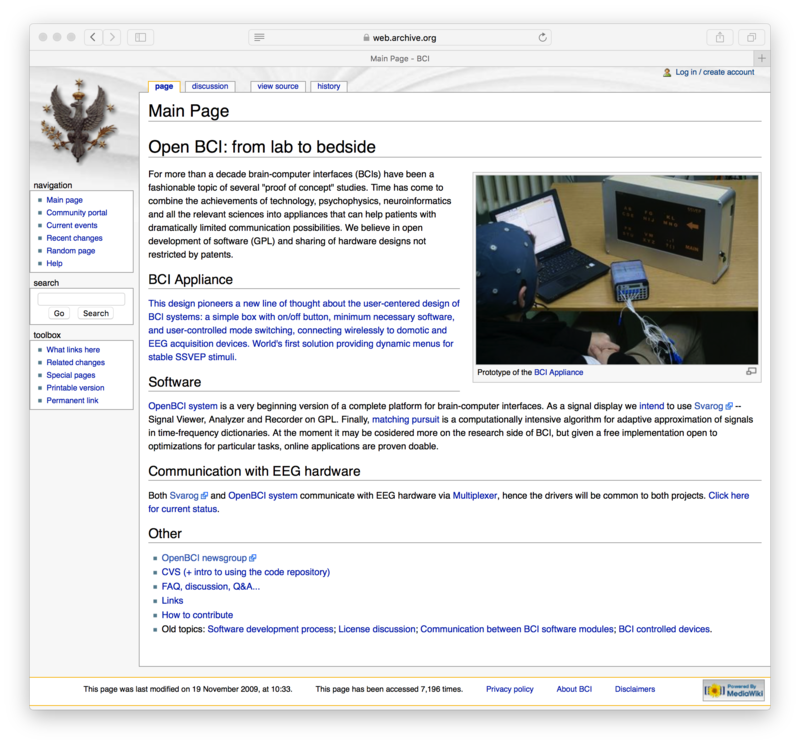 Screenshots show the Wiki pages from 2010 and 2011, retrieved from the Wayback Machine. 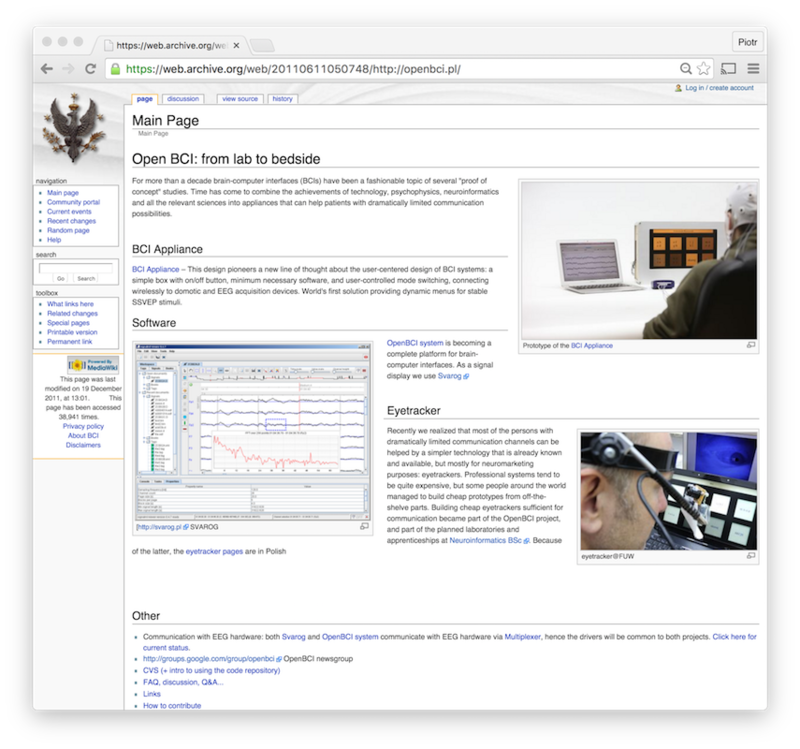 Original wiki crashed in 2015, and the openbci.pl domain was redirected here.